Confession: I do not know much about "Us," the new film from Jordan Peele, because I am a giant baby and I cannot abide horror films. 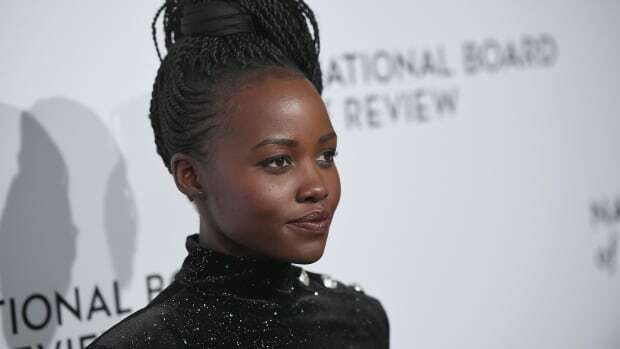 Nyong&apos;o&apos;s monochromatic red makeup look by her go-to artist Nick Barose was also on point. 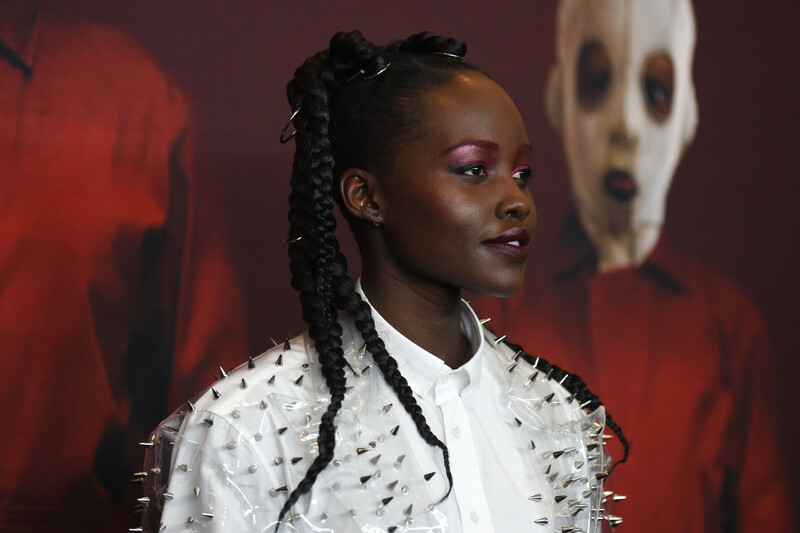 He shared the products used for what he dubbed an "&apos;80s red-on-red" look on Instagram, noting that the metallic crimson on the eyes and brows came courtesy of Lancôme Hypnôse Stylo Shadow Stick in both the Rubis and Onyx shades. On the lips, Barose used Lancôme Color Design Lipstick in Into the Rapture, a deep oxblood shade. (Nyong&apos;o is a spokesperson for the brand.) The full effect is unquestionably bold, and I don&apos;t think I could pull it off, but it really makes me want to pull out my brightly colored mascara and give it a go anyway. The silver rings set in her hair (by hairstylist Vernon François) work with the silver spikes of her coat without competing against them for attention. So will I be going out to see "Us"? Almost definitely not, because, to reiterate, I am a giant baby. 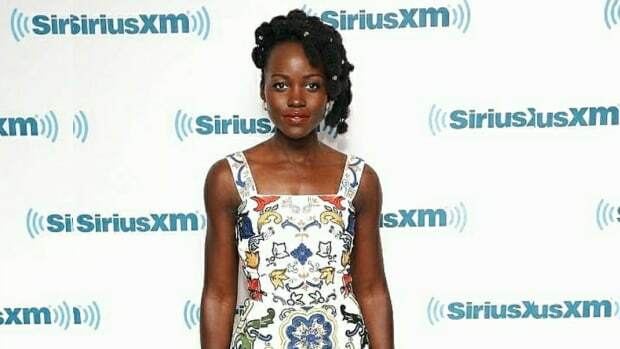 But I am more than happy to keep looking at photos of Lupita Nyong&apos;o on red carpets! She wore fantastic Dolce & Gabbana for a visit to SiriusXM Studios on Wednesday. It somehow came off looking impossibly sophisticated. The actress wore a dress from designers Laura Kim and Fernando Garcia's resort 2017 collection for an appearance on "The Late Show."